Everyone seems to be in a panic about privacy these days. All the big companies want to know everything about you, and most people are reluctant to give up any more information than they really need to (with one exception – we willingly tell Facebook everything about ourselves). But when Google asks you for your phone number – you definitely should give it to them. That’s fine. I understand that. And in general, I agree with the idea that protecting your personal information is a good thing. But this is an exception. Do you use a Google Calendar? Do you get apps from the Play Store for your Android phone? If you answered “yes” to any of those questions, you have a Google account. Now the big question: why does Google want your phone number? What are they going to do with it? Well, they aren’t going to call you at dinner time to sell you a time share or ask for a charity donation. Google wants your phone number, so they can help you get your account back if for some reason you are unable to log in. For me, all of my email comes in through Gmail (I actually have several Gmail accounts, for different purposes). What if suddenly you could not access your email account? How big of a problem would that be for you? That means you can’t get new emails coming in now, which is an issue in itself. But you also cannot go to Gmail.com and access any of your PAST emails (although you still could see the old emails if you have them stored on your computer). You also don’t have access to your Gmail contact list. Or your Google calendar. Or any of the photos you have backed up in Google Photos (a great way to backup all of your photos, by the way). Or anything else you use your Google account for. This would be an issue you would want to get resolved as soon as possible. And the way to get it fixed is for Google to either send you a text message with a special one-time code, or to call you and give you that code. You enter that code on their site, and you then have access to change your password to a new one. And you’re back in business that quick. But if Google doesn’t have your phone number, it’s not that easy. They could also send that code to an alternate email address that you provide them (yes, you should give them that information as well). Hopefully you still have access to that old email account – you might not though, if it was from an internet provider you cancelled 10 years ago. 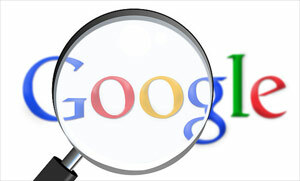 You can also resolve this by answering some security questions that Google has on file. Assuming you remember those answers. I had a client recently that had to answer one of those. The question was “What is your favorite movie?” and she had to think about it for a minute because she originally answered that question a few years earlier. Fortunately she was able to get it right after a few tries, but it was a little risky to depend on that one thing. Giving Google your phone number and the other information they need is really easy. Just go to Google.com and sign in to your account. Then click on your picture up in the top right, and in the drop-down menu click on “My Account”. On the next page, look on the left side for the “Security Checkup” area and click on “Get Started”. Google will walk you through the rest from there. Keep this in mind: you can only do this BEFORE you lose access to your Google or Gmail account. That means you need to do it now! No thanks. I use Ixquick for my searches. They don’t sell search info to advertisers. I use outlook or hotmail. Google is not your friend.